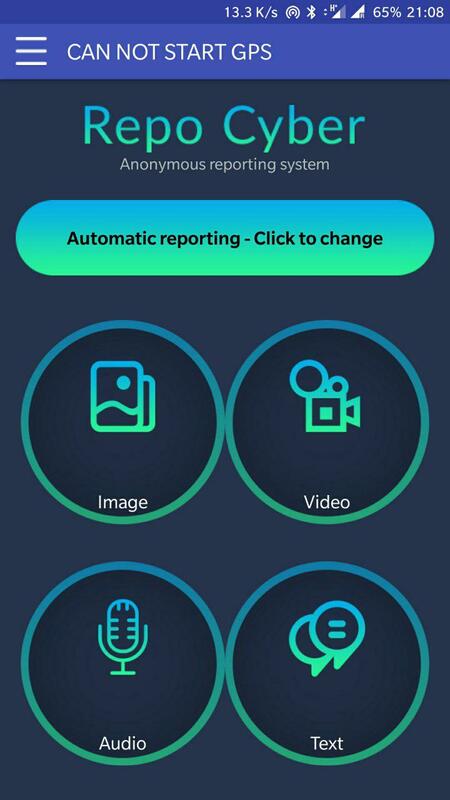 Repo Cyber is an innovative app, which encompasses an ecosystem framework for anonymous reporting. The app allows citizens to anonymously report crimes to law enforcement organizations. It is quite natural for people to feel hesitant to become involved in reporting criminal activities of others. They may be afraid for their lives or that harm will come to their loved ones, or fear retaliation. The Repo Cyber app solves this problem by enabling people to report crimes without providing their personal details. This is one benefit, which may also reduce the burden on the legal system. Repo Cyber can be found in the Google Play store, with a beta version soon to be available in iTunes. The majority of law enforcement agencies around the globe have a different approach to the process in place for civilians to report crimes. 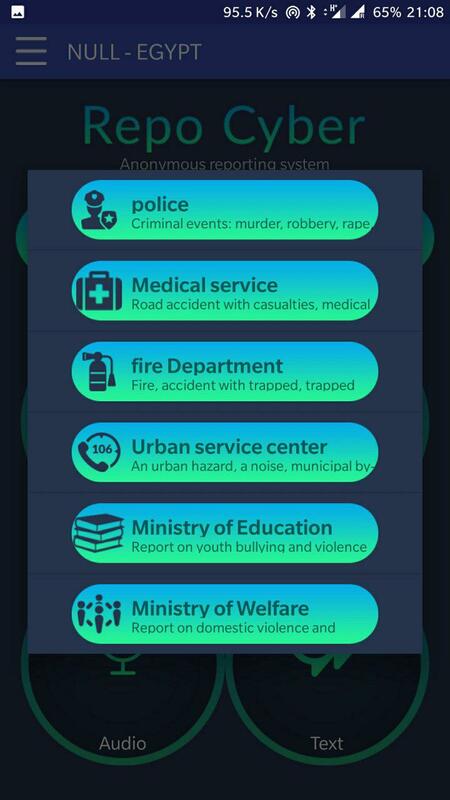 Repo Cyber provides a solution to this problem by enabling citizens to now report crimes as they take place, which can be achieved by using the mobile app with several options to choose from. 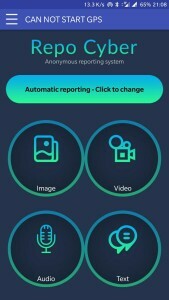 These options comprise of text, audio, video or anonymous sharing of images, ensuring that reports are directed to the relevant department. Zeev Mindali is the CTO and Co-founder of Repo Cyber. 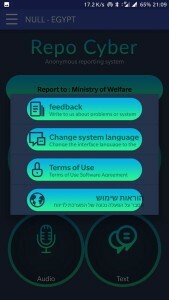 Zeev and his partner, Yehuda Solomon, the CEO, a retired lieutenant brigadier in the Israeli police force, came up with the idea for this app approximately two-years ago. “After 45-years of service we understood all the police reporting processes very well. We also knew that if people had the choice, they would prefer to report crimes anonymously as they did not want to go through the traumatic process of being involved, in what was essentially a police matter”. This knowledge led to the development of Repo Cyber. “We also needed a system that was convenient, quick to learn, and very user-friendly. Fortunately, we found Backendless to be the one system, which met all of our requirements after trying several others”, Zeev told us. Repo Cyber has become the latest way for civilians to share information with law enforcement agencies. When faced with criminal or dangerous situations, people find it tough to make urgent reports over the phone. They need to identify themselves while being faced with potentially life-threatening circumstances or call centers taking to long to answer or just being busy, among other obstacles. These barriers make it difficult to obtain urgent help. When making a report over the phone, civilians may also face unexpected obstacles such as language barriers, poor sound quality over the line, or problems in identifying their location. Repo Cyber bypasses these problems by offering several effective communication options, such as clear audio, video and text features. These features help to reduce the issues related to reporting a crime. The individual also feels more comfortable sharing information since they are able to remain anonymous. The user can conveniently upload images, text, and videos to Backendless. The system will then analyze all the data received by using Google, and IBM AI to determine what the server views. Both keywords, and the Bayson algorithm are employed to then transfer information through to the right department or authority in a municipal city for additional analysis. Government, and municipal authorities retrieve this information via API’s. 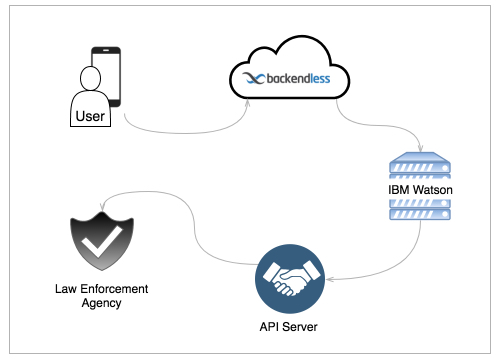 Backendless is in use in the MQ system, handling the API calls to the Google and IBM servers, receiving the newly-created data from the users through the app. Other systems using Watson and Cloudant from IBM. MQ – The MQ portion of the system receives a report, checks, and then translates the data received in the form of a video, audio data or text. 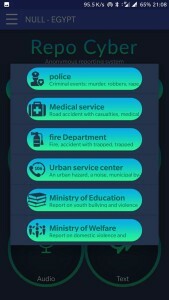 FR – The FR (First Responder) system has been created to support law enforcement agencies, municipal reporting centers, smart-cities, and various security agencies. Kaleidoscope – The Kaleidoscope system is used to retrieve vehicle’s registration numbers, human images, voice samples, fingerprints, and more. Immediately the system receives data, it begins connecting to IoT devices such as street, and security cameras, LPR systems, and others. API – Repo Cyber contains an exceptional API system for real-time analysis, and reporting of existing results. This helps to enhance the compatibility, and integration between current control systems, and the Repo Control system. This system is scalable to enable retrieval of massive amounts of data and can easily be expanded to ensure the system remains functional at all times. It took only 3 months of work to get the backend system up, and running with the help of Backendless. 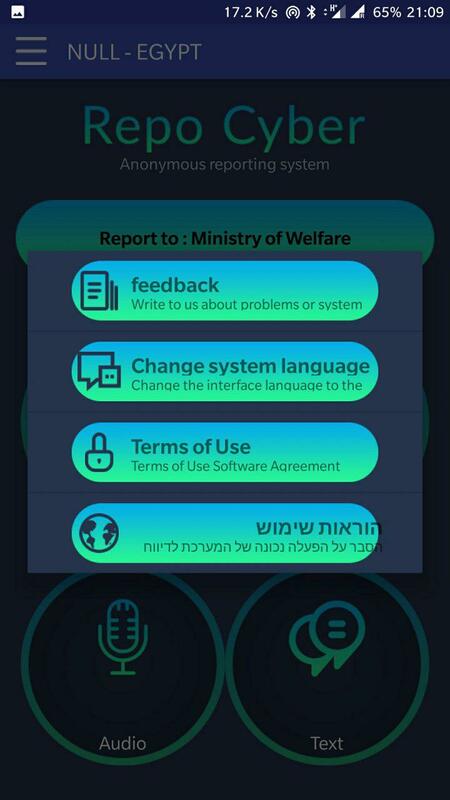 The system is already available for adoption by five major cities in Israel. The Repo Cyber App has the support of the IRS Criminal Investigation Division, and HLS police of Israel.